What really sets apart the new paper from Amy Orben and Andy Przybylski is that it aims to capture a more complete picture of how variables interact. The problem that Orden and Przybylski tackle is endemic one in social science. Sussing out the causal relationship between two variables will always be confounded by other related variables in the dataset. So how do you choose the right combination of variables to test? An analytical approach first developed by Simonsohn, Simmons and Nelson outlines a method for solving this problem. As Orben and Przybylski wrote, “Instead of reporting a handful of analyses in their paper, [researchers] report all results of all theoretically defensible analyses.” The result is a range of possible coefficients, which can then be plotted along a curve, a specification curve. Below is the specification curve from one of the datasets that Orben and Przybylski analyzed. Although statistical significance is often used as an indicator that findings are practically significant, the paper moves beyond this surrogate to put its findings in a real-world context. In one dataset, for example, the negative effect of wearing glasses on adolescent well-being is significantly higher than that of social media use. Yet policymakers are currently not contemplating pumping billions into interventions that aim to decrease the use of glasses. Truthfully this is the first time I have encountered specification curve analysis and am quite impressed with its power. For more details, check out the OSF page, the writeup in Nature, and the full paper. Also, Michael Scharkow details how to apply SCA to variance and includes some R code. 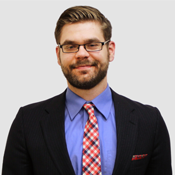 Will Rinehart / Will Rinehart is Director of Technology and Innovation Policy at the American Action Forum, where he specializes in telecommunication, Internet, and data policy, with a focus on emerging technologies and innovation. Rinehart previously worked at TechFreedom, where he was a Research Fellow. He was also previously the Director of Operations at the International Center for Law & Economics.